She was watching television at home. 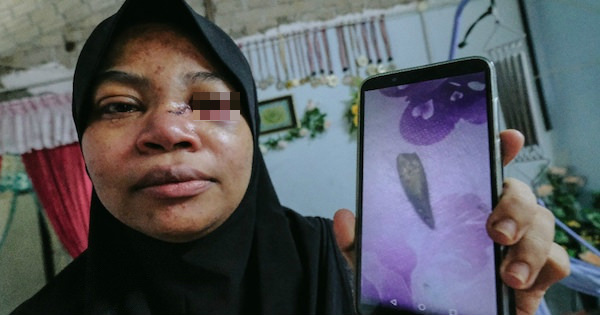 Nur Fatihah Azaini showing the stray bullet which injured her eyelid and nose. 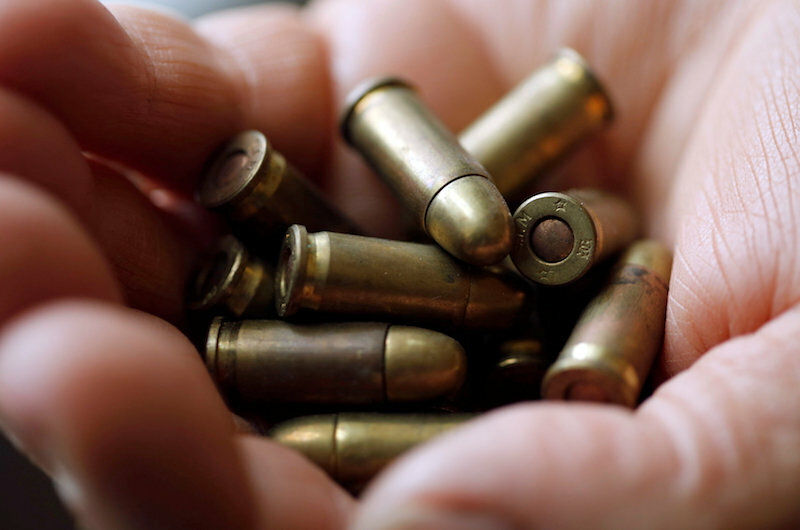 Malay Mail reported the victim as saying that she believed the stray bullet came from a shooting range about 500 metres away from her house as a shooting exercise had been going on there. The incident, which occurred at about 1.30pm yesterday, injured her eyelid and nose. "I was resting while watching television with my newborn baby, who was sleeping beside me," Nur Fatihah Azaini was quoted as saying by Kosmo. "I heard a loud noise, like something falling from the roof, and then something hit me on the face," the new mother, who is a nurse at the Penang Hospital, added. 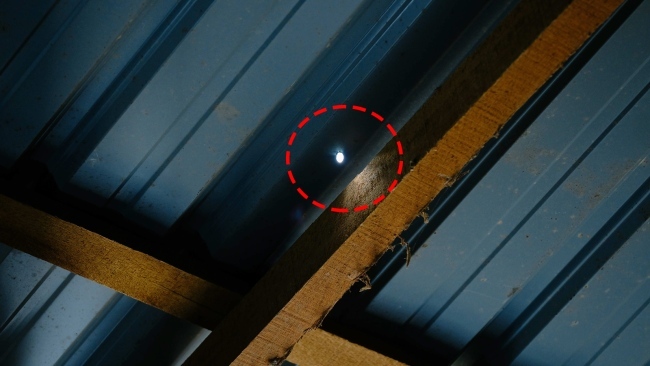 The stray bullet caused a hole in Nur Fatihah's roof. The woman then asked her mother to take her to the clinic as she panicked from the mass amount of blood on her face. "I'm just grateful that there was no serious injury," she told New Straits Times today, before expressing her hope in a police investigation regarding the incident. "Now I'm afraid to sit in the living room, I'm just going to sit in the bedroom from now on," the 29-year-old new mother added. New Straits Times reported Pendang district police chief DSP Arriz Sham Hamezah as saying that the shooting practice was "under police supervision". "Although checks showed that the training session was in accordance with standard operating procedures, we are still investigating the incident to ascertain the exact cause," Arriz said. The 29-year-old Singaporean man kept denying the allegations.